New Delhi [India], Feb 18 (ANI): The Supreme Court on Monday refused to entertain a plea filed by a group of people challenging a media advisory issued by the Ministry of Information and Broadcasting to ban the usage of the word ‘Dalit’ by media in public debates. New Delhi [India], Jan 25 (ANI): Union Ministry of Information and Broadcasting (I&B) on Friday announced its decision to hike advertisement rates offered by the Bureau of Outreach and Communication (BOC) to private TV channels. Puri (Odisha) [India], July 13 (ANI): Union Minister Dharmendra Pradhan inaugurated a multimedia exhibition organised by Regional Outreach Bureau of the Ministry of Information and Broadcasting (MIB) here on Friday. New Delhi [India], May 13 (ANI): The Ministry of Information and Broadcasting will establish a dedicated web portal to spread information on filming locations and production facilities available in India. New Delhi [India], Apr 20 (ANI): The Ministry of Information and Broadcasting has issued severe weather warning for Friday and the following days, for several places across the country. New Delhi [India], Apr. 03 (ANI): The Editor's Guild of India, on Tuesday, condemned the Information and Broadcasting (I and B) Ministry's directive to keep a check on fake news by the implementation of new rules to penalise journalists. 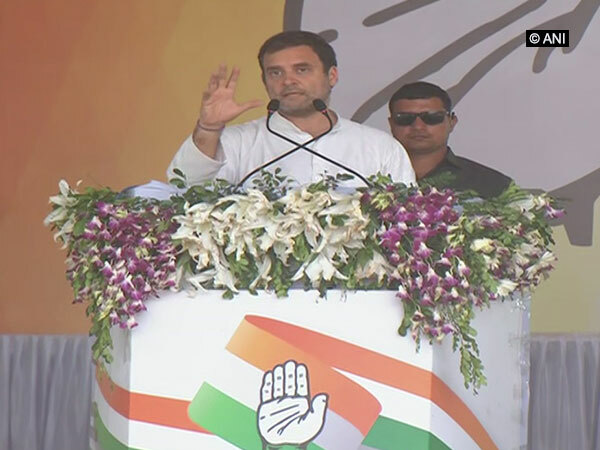 New Delhi [India] April 3 (ANI): Congress President Rahul Gandhi on Tuesday mocked Prime Minister Narendra Modi over the 'fake news' issue. New Delhi [India], Mar 9(ANI): SR Kar is appointed as the new Director General of Press Information Bureau on Friday. New Delhi [India], November 14 (ANI): Former information and broadcasting (I&B) minister Manish Tewari on Tuesday termed the Centre's removal of two films from an upcoming film festival as 'extremely unfortunate', and called out the ministry for practising 'crude censorship'. New Delhi [India], November 7 (ANI): The Election Commission (EC) on Tuesday announced that exit poll results for Himachal Pradesh and Gujarat assembly elections cannot be made public before December 14.